Fan favorite Payne Stewart claimed the first of his 3 Majors at the 1989 PGA Championship at Kemper Lakes Golf Club. 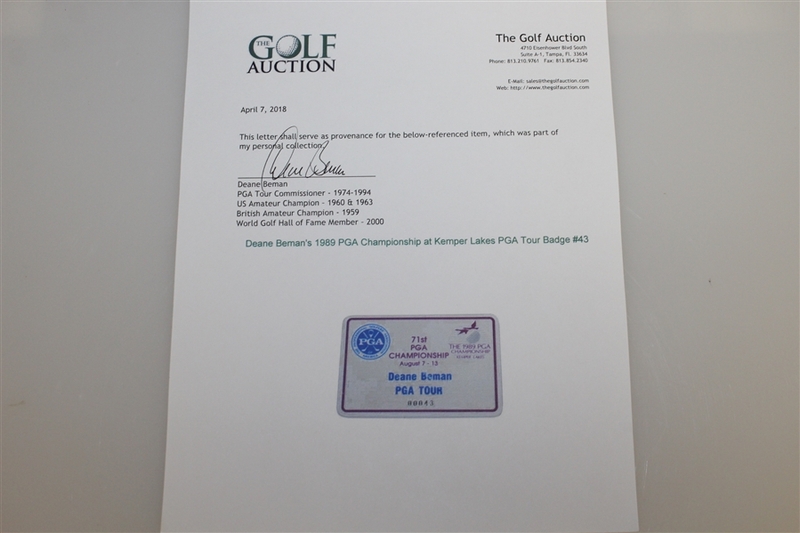 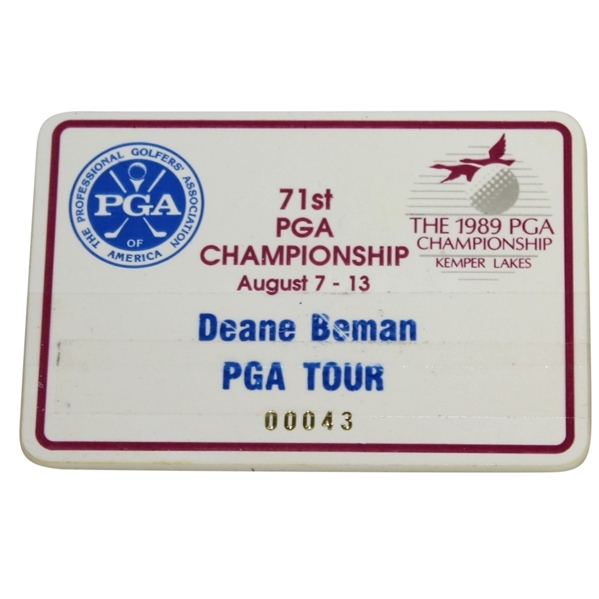 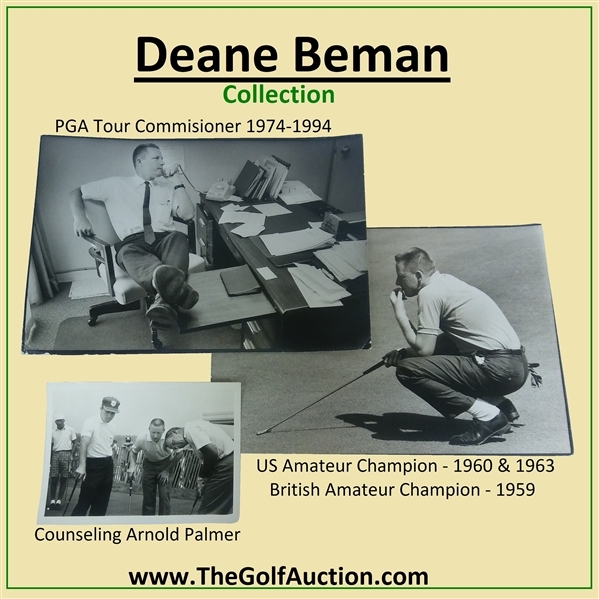 Deane Beman's PGA Tour badge #43 from that tournament is offered here for bidders. 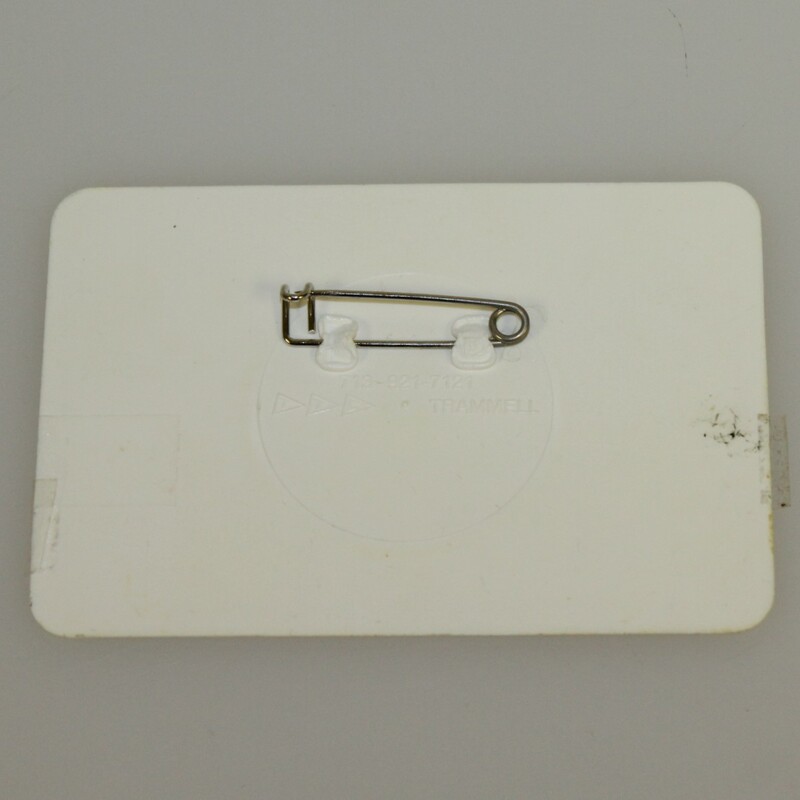 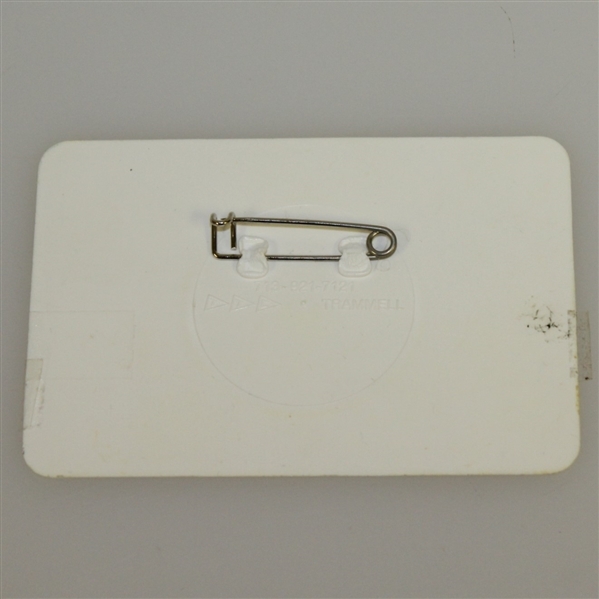 It comes in great condition and measures 3 3/4" x 2 1/2".